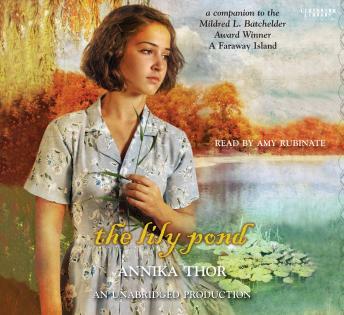 A Mildred L. Batchelder Honor Book and an ALA-ALSC Notable Children’s Book, The Lily Pond continues the story of two Jewish sisters who left Austria during WWII/Holocaust and found refuge in Sweden. Five years her senior, Sven dazzles Stephie with his charm, his talk of equality, and his anti-Hitler sentiments. Stephie can't help herself—she's falling in love. As she navigates a sea of new emotions, she also grapples with what it means to be beholden to others, with her constant worry about what her parents are enduring back in Vienna, and with the menacing spread of Nazi ideology, even in Sweden. In these troubled times, her true friends, Stephie discovers, are the ones she least expected.